I was attracted to this book because of its title. Show me a title concerning Ireland, and you’ve got my attention! I had seen good reviews of this book and, as are legions of others, have been a devoted fan of author Sally Cronin’s blog Smorgasbord on WordPress for years. And so it was that I bought Tales From the Irish Garden, not fully knowing what to expect. To say I was roped in from the onset puts it mildly! I was immediately bowled over by the minute details in this highly creative story, one part fantasy, one part fairy story and all parts sheer, delightful suspension of belief. Only, and here’s the kicker, as I read this engaging story, lured along by its romantic, magical undercurrents, I began to intuit the deeply human parables! Sally Cronin is a writer gifted with insight, humor, whimsy, and unparalleled story pacing abilities. 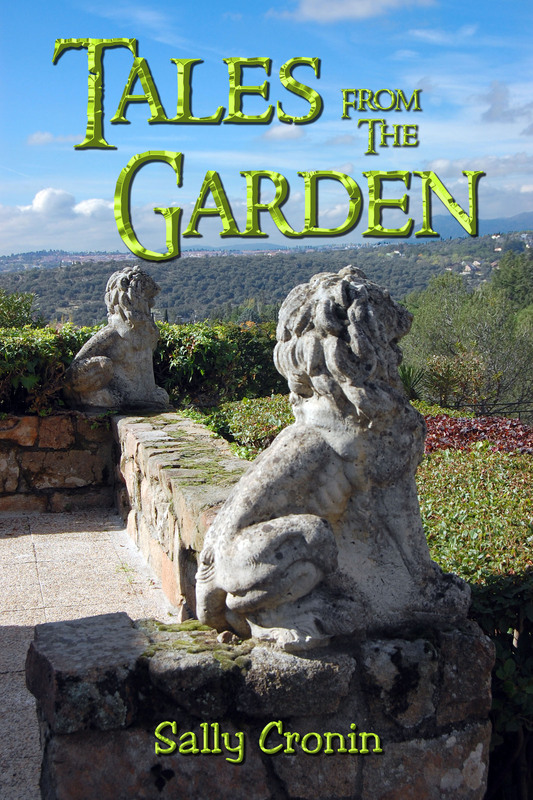 Tales From the Irish Garden invites the reader to enter a plausible, magical realm so real as to make the reader want to stay there. Now time for the books that are included in the Christmas Giveaway…. These stories are filled with plenty of sudden developments that will leave you guessing. This second volume continues where the first book left off. The first story begins with “Kenneth,” and the rest of the stories flow through to “Zoe.” The author includes a bonus story at the end called, “The Village Square.”Prepare to be transported into the lives of the many personalities, Sally Cronin creates, inspired by a first name only. Each person’s name has a different tale to tell or life to lead, all carefully constructed to draw the reader into their experiences. Linking the stories together are the themes of romance and family. Need I say more? This was a beautiful collection of short stories with an intriguing premise: each story is titled by the name of its main character, and there is one story with a male name and one with a female name for each letter of the alphabet (through J–Vol. II completes the alphabet). The way I describe it is far less simple than Sally Cronin makes it. The stories vary widely. Some are funny, some poignant, some teach a lesson. A couple of them made me cry, which is why I recommend that you have a box of tissues nearby when you read the collection. The one thing that each story does have is a surprising twist at the end–something the reader doesn’t see coming. I thoroughly enjoyed the collection and look forward eagerly to reading Volume II. Have you ever walked around your garden, enjoying the birds, insects and lovely flowers and wondered if magic could be hiding there? Sally Cronin obviously has, for this enchanting book explores the magical goings-on in her own garden. From the stone guardians and fairy folk, each tale is full of hidden worlds and magical places. Each one a miniature fairy tale of priceless gemlike proportions. I especially enjoyed the many illustrations that accompany each tale, and reading this book encouraged me to relax and let my imagination take me on a magical journey through this wonderful garden. It will probably change the way I feel about my own garden forever. I can only imagine what he really thought about his two and four-legged friends but I do hope he loved us as much as we adored him and the time he spent with us shining brightly in our lives. If only our pets could talk how much richer the world would be, and funnier. What a wonderful find. Being that I’m an animal lover and have spent a great many years involved in dog rescue, I was instantly drawn to the cover of this book. The beautiful photo is of Sam, who I instantly fell in love with as the pages unfolded in this marvelous story. From puppy-hood to a new home, new friends, Sam’s first language is cat. And it’s understandable when in the story we meet Henry, the toothless, feral cat, that Sam’s mistress Sally rescued. This friendship was funny, and sweet, and poignant–everything that makes up a beautiful friendship. It also served as a vehicle to introduce us to Sally’s heart–one filled with compassion. I could go on and on and on but then this review would be longer than his sweet, short read. But I can’t leave without mentioning how this book made me smile: from Sam’s retelling of his first wee-wee in the house to that never happening again; to his going outside and along with the piddle leaving a “fragrant parcel” (he uses Sally’s words); to the soot on his snout from diving into the fireplace, etc. This book is an absolute uplifting treat. Imogen was traded in at the age of 50 for a younger model or Fast Tracker in her words. I smiled and laughed out loud throughout as I could relate to much except my dress was made of tin foil and not red. Occupied at first by getting her new home in order Imogen then found herself eating and watching movies and of course piling on the pounds. Determined to make a change after seeing an advert in a local paper she took the plunge and went for an interview. Andrew Jenkins was like no one Imogen had met and once he had put Imogen at her ease invited her to start at the beginning of her work history to put Imogen at her ease he explained that this would help him build a picture and enable him to find the perfect job for her. What followed was a joy to read and anyone who reads this is very likely to discover that they are not so very different to Imogen and the discoveries she made about herself and how it truly reflects the life story of so many women of a certain age. The author has an easy going style which makes this story hard to put down as she goes through the many jobs she had Sally Cronin tells the tale of many and varied positions some being just downright funny. A story of a life before children and after they had flown the nest and Imogen had been discarded but how she rose like a phoenix from the flames a new woman. If you want a light-hearted read with a moral attached then this book is recommended and I will definitely be reading more from this author I loved it. How to get your free e-book version of these books. Please email me on sally.cronin@moyhill.com and let me know if you would like a mobi version for Kindle or epub for other devices. As I mentioned earlier, I have no expectation of a review but if you do enjoy the book a quick email to let me know would be fantastic. This entry was posted in Books by Sally Cronin, Christmas promotions 2018, Sally's Cafe and Bookstore Update and tagged Books by Sally Cronin by Smorgasbord - Variety is the Spice of Life.. Bookmark the permalink. Don’t miss Sally Cronin’s offer of free e-copies of her books. She writes in all kinds of genres, from non-fiction health advice to short-story collections full of magic. I love them! I spotted a few I haven’t read, Sally. I am going to purchase them now. I saw this on “The Write Stuff” and added the link to my “Deals for Readers” section of my website: https://www.authorreadercheerleader.com/booksforreaders.html – I hope it helps out for both you and readers. All the best this time has to offer to you and yours. A fabulous collection and giveaway from Sally Cronin​ on Smorgasbord #blog! I definitely want to read What’s in A Name! I bought it so you can see some profit 😊 Amazon won’t let me review there anymore, but I’ll do a blog post, Goodreads, and BookBub in the new year. What wonderful reviews for your collection of books. My TBR is growing. What a great Christmas offer. Off to Amazon now! It’s about time you promoted your own work, Sally!! Sally is Mrs. Santa on the stage and giving you one of her five books. Head over for a copy. Hurry up! !